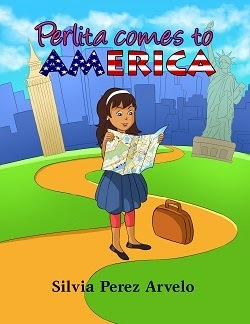 Today we are interviewing Silvia Perez Arvelo, author of the children's book Perlita Comes to America. Silvia is married to Miguel Arvelo for over 26 years and is the mother of 3 beautiful daughters; Stephanie Marie, Ashley Kristine and Alexandria Nicole. She still lives in the United States and continues to love it. Silvia is passionate about seeing girls and women of all ages thrive and succeed. Where some see difficulty, impossibilities and defeat she sees, opportunity, possibility and determination. She believes that dreams do come true for those who believe. Dreams are still achievable even if destiny has you living in a country that is not your country of origin. Her desire is to encourage all the Perlita’s in her life time to go for their dreams. To strive for all they hope to become and to see doors of opportunity where others may only see misfortune and missed opportunities. Silvia is a certified Life Breakthrough Coach and founder of Women’s Empowerment Services. She is also Co-Founder of a Non-Profit Organization called Latinas of Legacy. The book is about a young girl whose life is disrupted by moving away from everything that is familiar to her. She is about to enter a whole new world, culture and language and with that she faces some challenges. Children between the ages of 7-9, parents, grandparents and children who have experienced a disruption to their regular routine and surrounding. What inspired you to write a story about a young girl who immigrates to America? This is my story! As I see more and more children enter the United States with hopes for a better life and opportunity I wanted to let them know that although it may be tough at first, life will get better and you will adjust and more importantly succeed. I wanted to impart hope and encourage others! Your book is unique in that it’s written in both Spanish and English. Did you grow up speaking both languages? Or did you learn one at a later period than the other? My first language is Spanish but I quickly learned English and now English has turned into my first language. I even think and process things in English. Most young immigrants gravitate to the new language and due to school activities and friends, your new language quickly becomes your preferred and language of choice. I wanted the book to be bilingual for several reasons. First, I wanted grandparents to be able to read to their grandchildren in their first language. Secondly, I wanted to give children the opportunity to learn a new one by seeing them side by side. And lastly, I wanted Hispanic children not to lose sight of their roots and first language. It’s very easy to forget how to read and write it. Tell us about the protagonist, Perlita. Perlita is a child that desperately wants to adjust and connect. She wants to make new friends and start her new life in the United States. Life threw her a curveball and now she wants to start her new life. She is a sweet girl who is eager to learn all she can about her new country’s language and culture. What do you think are some of the biggest challenges for children moving to a new country? One of the biggest challenges is learning the new language. Schools have gotten a lot better in assisting in the assimilation process however; making friendships without being able to communicate is a challenge. Also, understanding the culture in general is a great challenge. What are your goals as a children’s book writer for the next ten years? 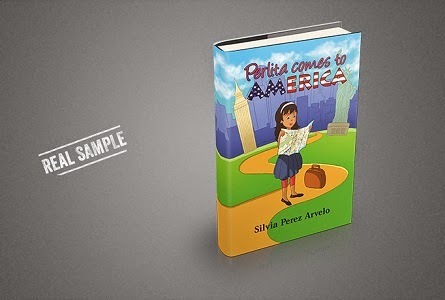 My goal as a writer is to produce several more volumes on Perlita’s challenges and ways that she overcame them. I want to show children through my work not to give up hope but to be persistent and be determined to succeed at everything that you set your mind to do. Yes, I want them to know that this book will take them through a range of emotions but will teach them about empathy for people that may not be the same as us. We can also learn from other cultures and expand our own knowledge of foods, customs and new cultures by embracing and getting to know our new neighbors or classmates.